Staying up-to-date with the latest developments in your target markets can be a challenge. 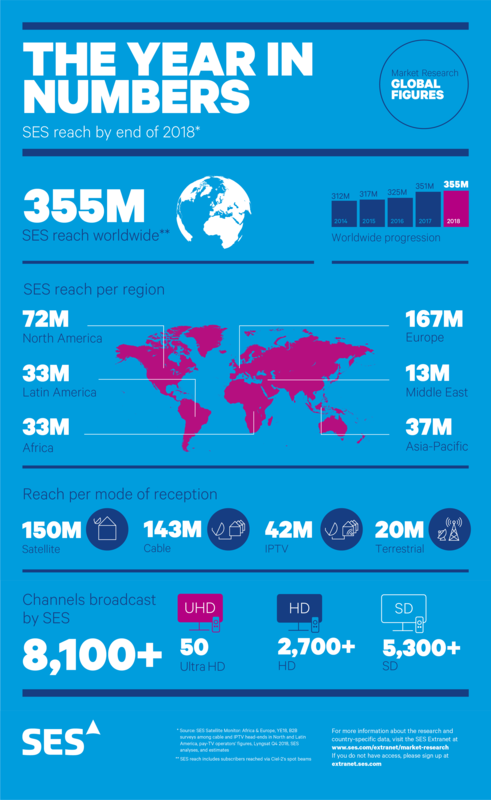 That’s why at SES, we have a specialist research team, dedicated to giving you expert insights into the TV markets covered by our satellites. Discover our global reach figures from 2018 below.